In Alexandria, Gnosticism, particularly the Valentinian variety, was much favored by those who were well educated in Greek philosophy. 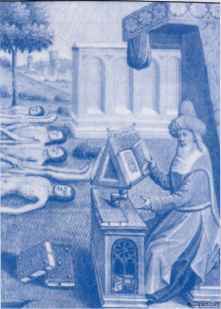 Clement wrote treatises in which he weaved Greek philosophy into the Christian faith. He demonstrated that those who claimed "knowledge" had, in fact, abandoned the simple reasoning of the philosophers. Plato, Aristotle, and other philosophers saw the truth and were, therefore, divinely inspired. He also wrote on manners in polite society, seeking in some ways to refine those who continued to follow the apostolic tradition. Christians, he insisted, should study Greek philosophy, for its search for truth leads naturally to the truth of Christ's Church. Origen was an incredibly prolific writer, said to have penned nearly 6,000 works. Born in Alexandria, his father was martyred while he was in his late teens. He continued his education in philosophy, particularly in Platonic and w Stoic schools. ot He wrote philosophical treatises and opened a school in Alexandria to sup-^ port himself and his family. 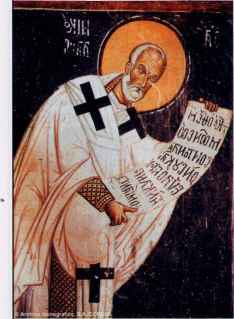 k Greek philosophy informed Origen's theology, but he never accepted that uj the philosophers were divinely inspired. Origen studied the Bible closely. He believed it was crucial to combating heresy and debating with Jews. He accepted the allegorical nature of the Old Testament, even in those passages that seemed resistant to it. His numerous homilies and treatises made him famous across the Christian world. He traveled to Rome and across the East. In Athens, he argued that even Satan was not beyond salvation. Around 230 A.D., he was ordained a priest in Syria, which led to a dispute with the bishop of Alexandria and his eventual banishment. He lived out his days in Caesarea, where his library remained long afterward. Around 235 A.D., he wrote Contra Celsum, disputing the new attacks on Christianity. Some considered him heretical, something that he vehemently denied, but most did not. His writings would continue to greatly affect Christian thought for many centuries after.